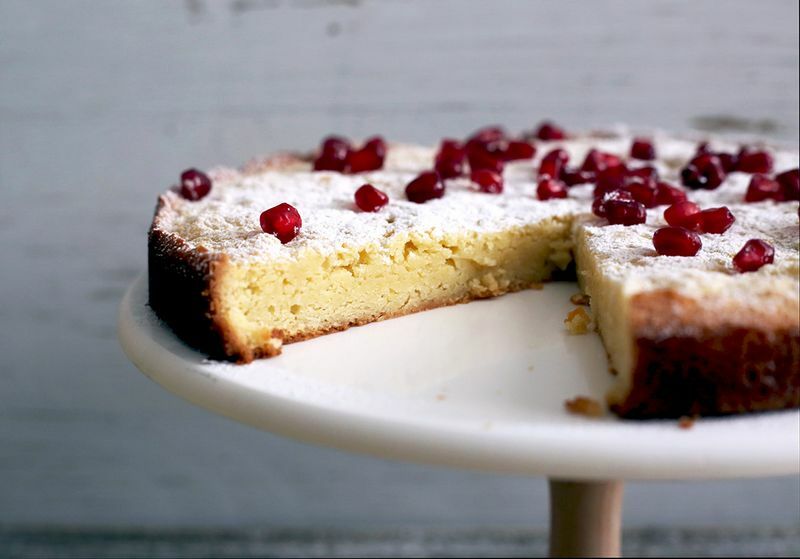 Although I’m not Swedish and have never been to Sweden, I find myself very drawn to Swedish recipes. I love cardamom more than most people, and have fallen a bit in love with the Swedish approach to eating. In Sweden, it’s customary to take a coffee break called fika in the mid-afternoon, much like the Brits do with teatime. And it’s not just for coffee; they eat cake. I fully support this sort of national pastime of taking a moment to stop and sit, and most importantly, enjoy a bit of cake. One of the cakes you’ll find all over Sweden, I’m told, is a brownie-like confection called kladdkaka, which translates roughly to sticky cake. 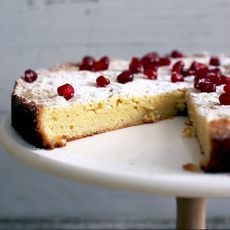 Usually made with milk or dark chocolate, the cake has just a tiny bit of flour of the batter, yielding a moist and gooey interior with a crackly, shiny top. It’s fudgy and decadent and absolutely easy to bake: It’s supposed to be squidgy and nearly underdone, but if you bake it too long, it’ll still be soft and tender and delicious! How’s that for a win-win? Although it’s traditional to use regular chocolate, I’ve used white chocolate in this version. Before you swear you hate white chocolate, or panic that it’ll be too sweet, give it a try. It’s important to use the very best quality chocolate you can find though, in order to really taste the flavor not the sweetness. I’ve dialed back the sugar in the classic recipe to compensate for the white chocolate’s sugar content, and I love the result. 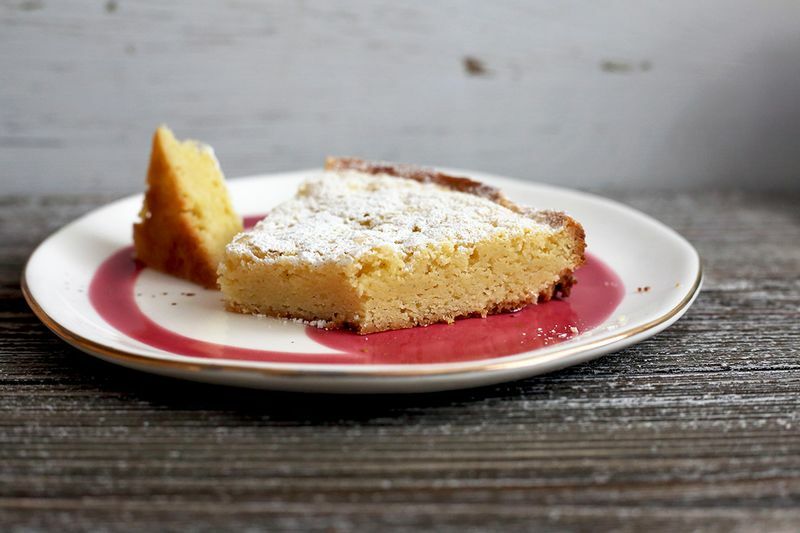 You can add a bit of lemon zest to add a welcome citrusy zip to the cake, or leave it out. It’s such a wonderful canvas for building dessert: Add a scoop of ice cream (strawberry or Earl Grey tea are both very good partners), or a dollop of espresso-infused whipped cream, or a handful of fresh berries. If you’re craving deep, dark chocolate instead, just swap out the white chocolate for an equal amount of dark chocolate and carry on with the rest of the recipe as instructed. It’s a 1:1 swap. While you’re baking, I’ll be deep in the archives of Swedish baking books, searching for my next favorite thing. Stay tuned! This article was written by Posie Harwood from Food52 and was legally licensed through the NewsCred publisher network. Please direct all licensing questions to legal@newscred.com. Next articleSous Vide: What is it Anyways?